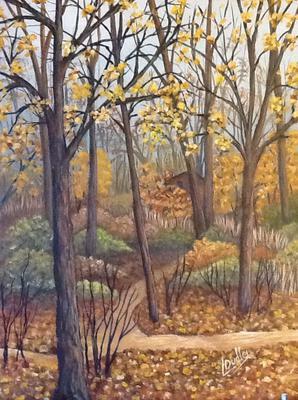 This is the third in a series of paintings from the Pearson Falls area. I loved looking through the trees to discover the little cabin tucked inconspicuously among the trees. I wondered if it was a home or hunting lodge and just how did they get to it since there was only a small path area? For some reason this has been sitting at the bottom for quite a while. I would appreciate your input. Thanks so much.